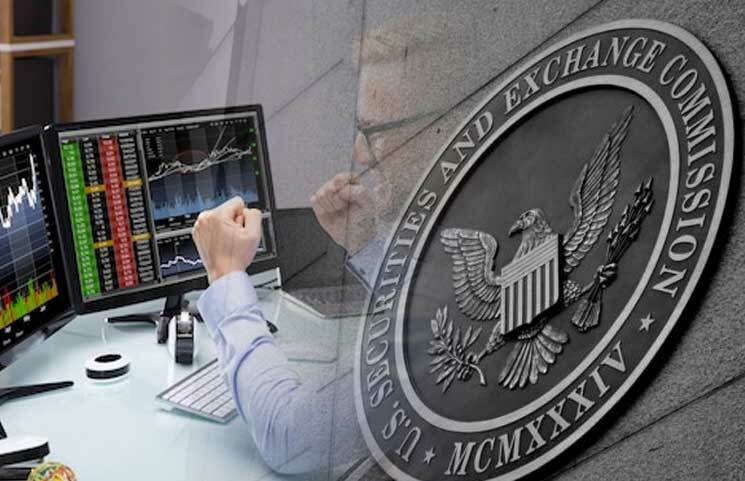 The Court Monitor (E&Y) for QuadrigaCX released a new report on March 1st, 2019, that details all of their new findings in the case. 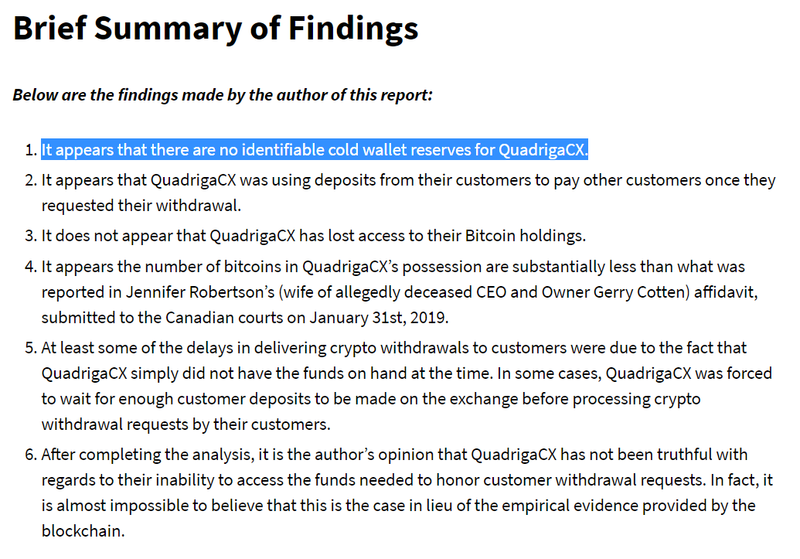 For those that do not know, QuadrigaCX is a cryptocurrency exchange that recently became insolvent, allegedly due to the spontaneous and unexpected passing of its owner and CEO, Gerry Cotten. 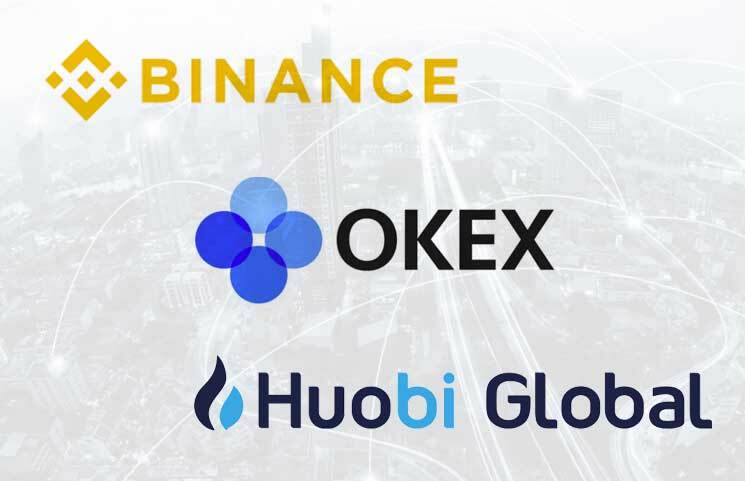 Since that time (middle to end of January), there has been a flurry of media coverage on the exchange. 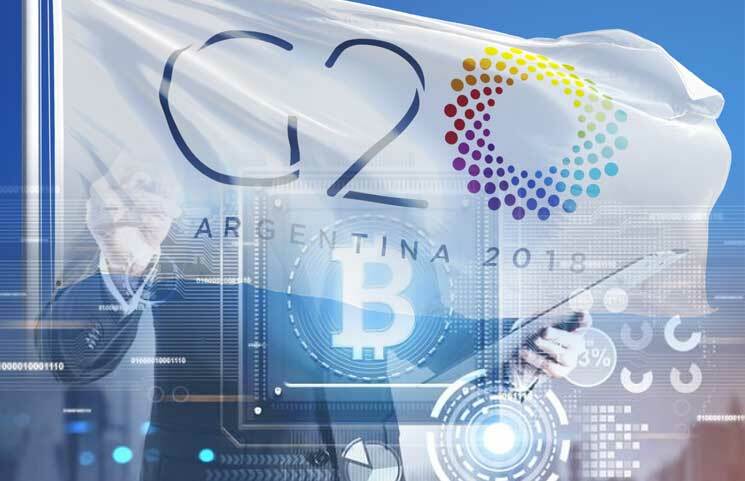 In specific, however, Zerononcense has served as the only publication and entity in the cryptocurrency space to publish three comprehensive blockchain reports, which cover QuadrigaCX’s Bitcoin and Ethereum funds in-depth. Upon release, these reports received a slew of feedback, both negative and positive. However, as time drew, the feedback became increasingly skeptical and negative. 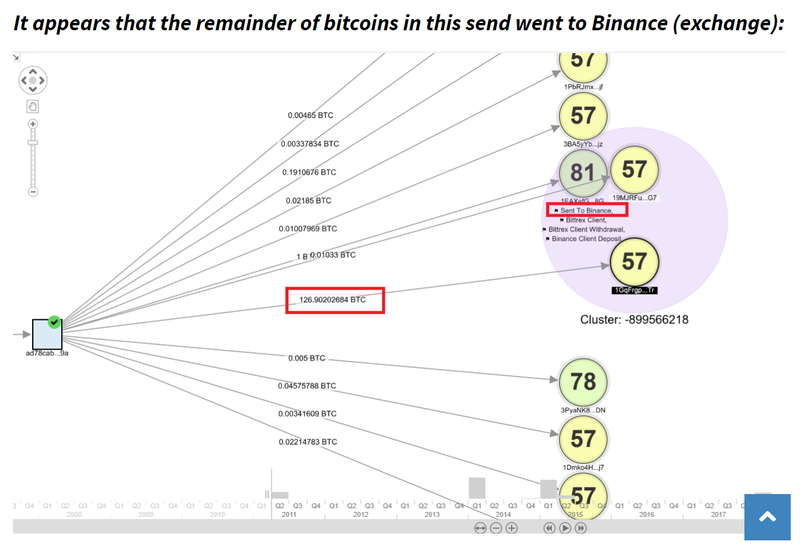 Some doubted the veracity of the cluster address technique used in the first report. 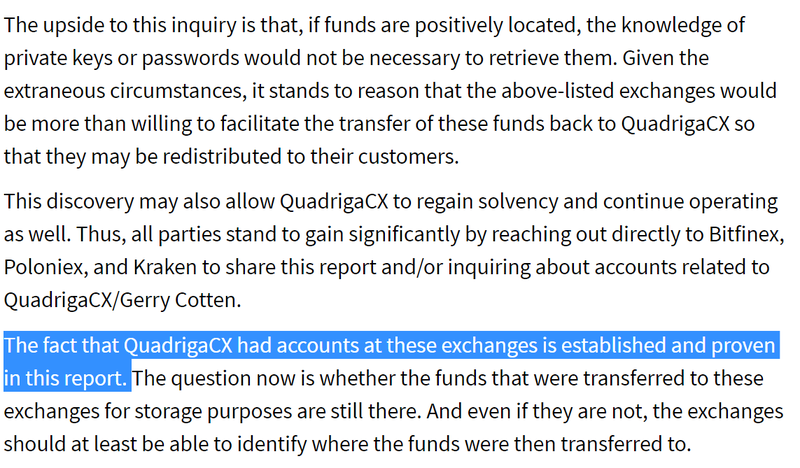 Others doubted whether the author possessed the capability to accurately pinpoint addresses belonging to QuadrigaCX or whether the reports’ author possessed enough credibility to be taken at face value with these findings. Fortunately, however, the Court Monitor’s most recent report (released March 1st, 2019), puts these worries to rest by confirming the vast majority of the findings within these three reports. 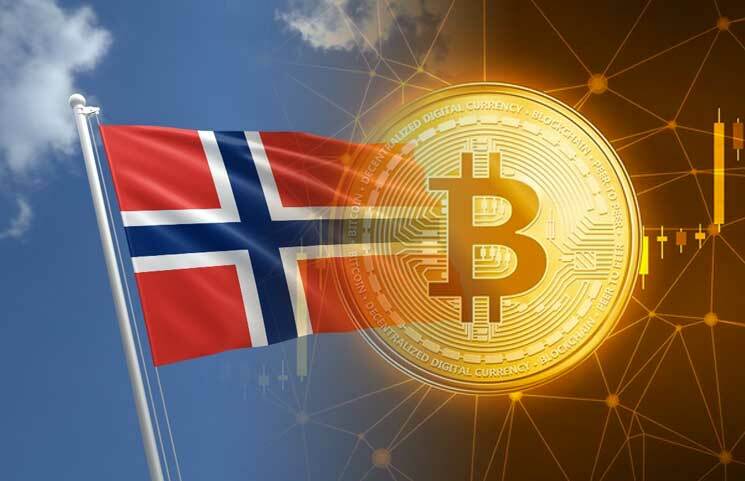 The Monitor’s report contains a slew of exposition about the case and its efforts to secure various funds belonging to QuadrigaCX as well as pertinent information from disparate sources. The Monitor also details its efforts to seek information and/or potential funds from third-party payment processors as well. 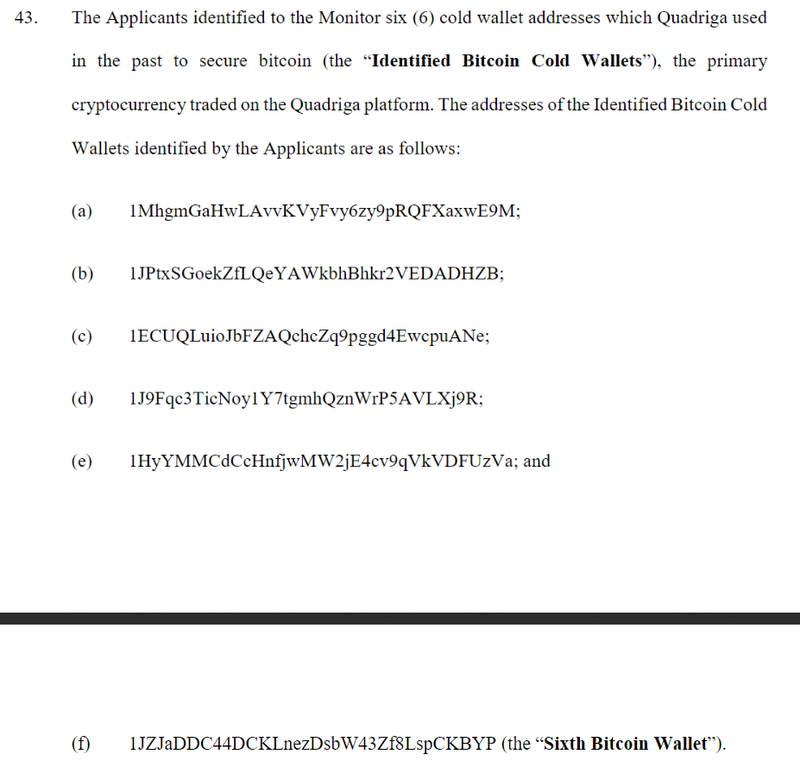 Most notably, however, there is a substantial amount of information from the Court Monitor regarding the whereabouts of QuadrigaCX’s cryptocurrency holdings. This also happens to be the subject of the three reports that were posted above. This, too, confirms the conclusion formed in the Ethereum blockchain analysis by Zerononcense. 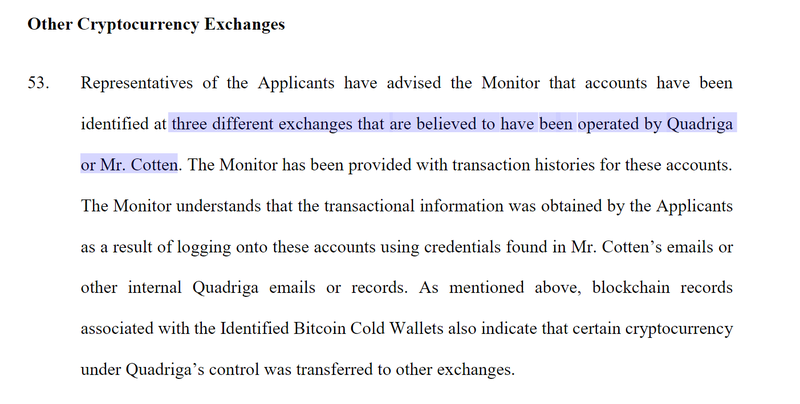 As one can see in the screenshot above, the definitive assertion that QuadrigaCX/Gerry Cotten does hold cryptocurrency accounts at outside exchanges was confirmed in the Monitor Report. In addition, the assertion that the funds could be returned once identified was confirmed as well, per the Monitor Report. 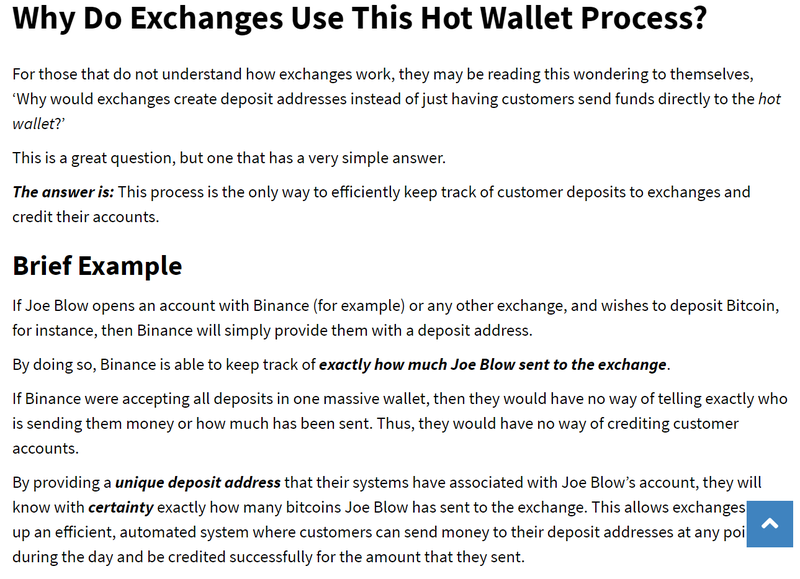 “Most cryptocurrency exchanges typically follow a similar structure in which when a user opens an account, the user is provided with a hot wallet address (the “User Wallet”) to which the user may send cryptocurrency to be received by the exchange. 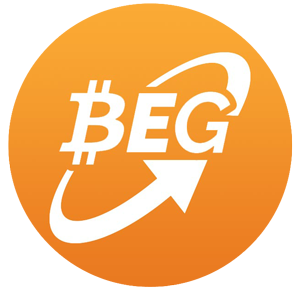 The User Wallet address is typically (although not always) an address that is set up unique for a single user. The user’s access only allows for transfer to that address. 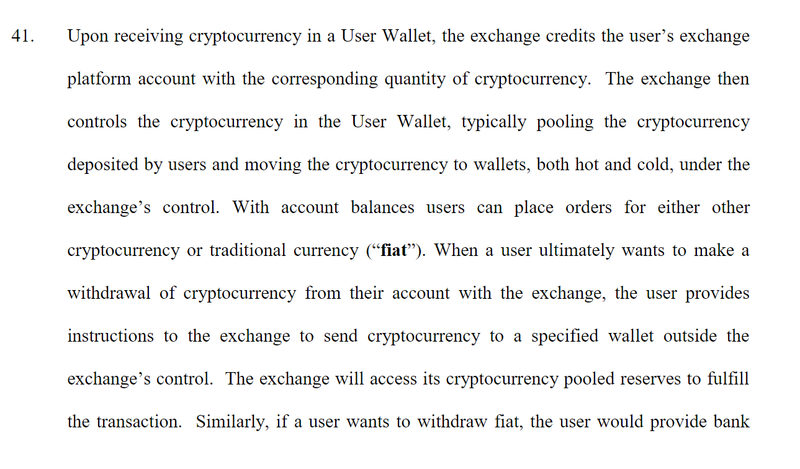 Following depositing cryptocurrency in the User Wallet, the user does not have direct control over the balance and the exchange has custody of the deposited cryptocurrency. 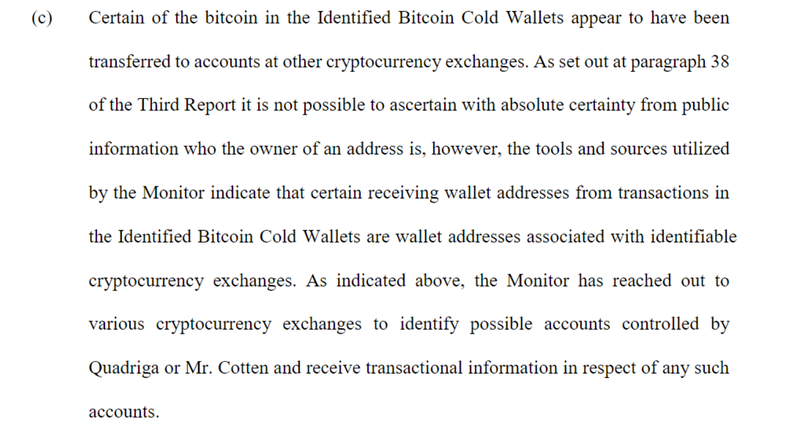 These statements, again, directly corroborate was written in the third Zerononcense blockchain analysis report. 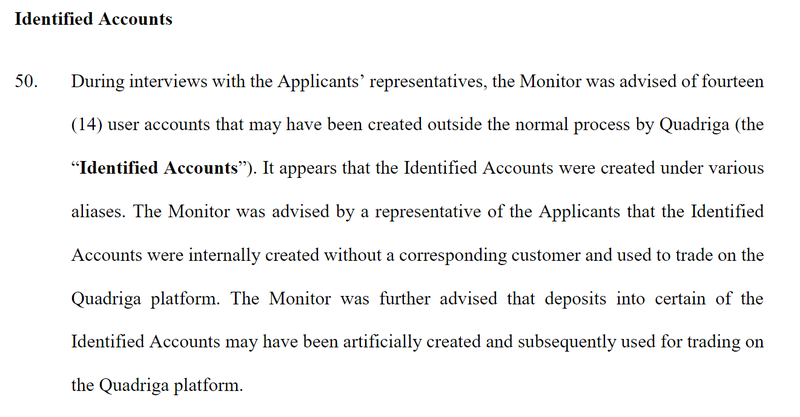 As one can see, the Court Monitor report almost stated what was in the Zerononcense report, verbatim. 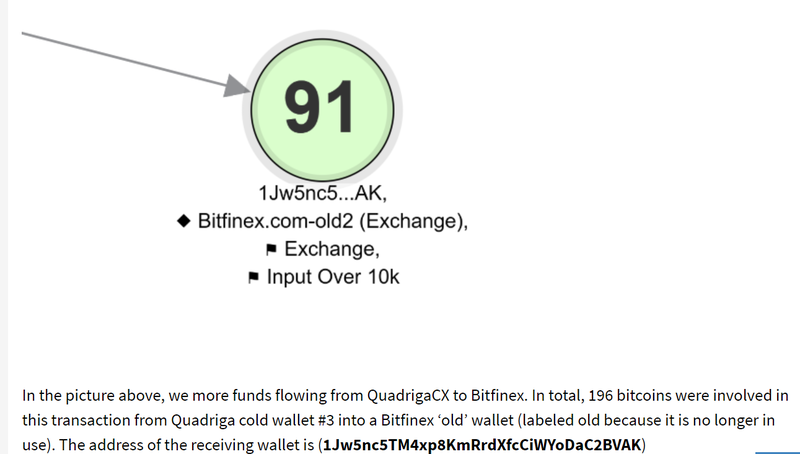 Approximately two weeks ago, QuadrigaCX announced (via the Court Monitor), that they had ‘accidentally’ sent 103 bitcoins to cold wallets that they no longer had control over. 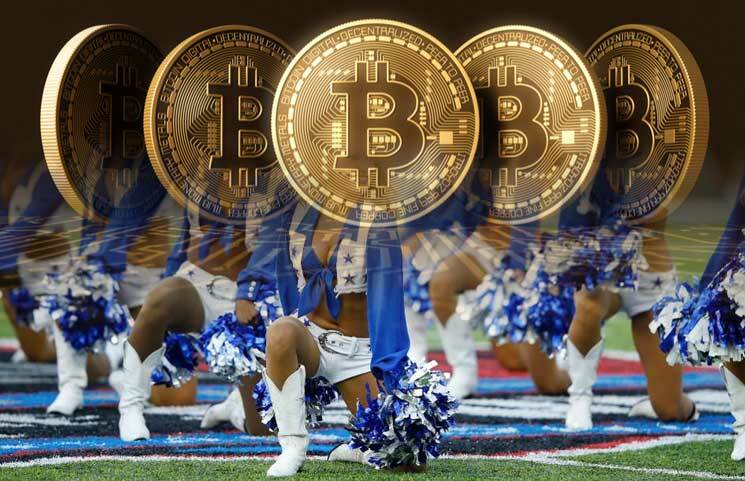 1J9Fqc3TicNoy1Y7tgmhQznWrP5AVLXj9R — received 4.87560516 BTC. The sixth address (1JZJaDDC44DCKLnezDsbW43Zf8LspCKBYP) was only identified by Zerononcense. 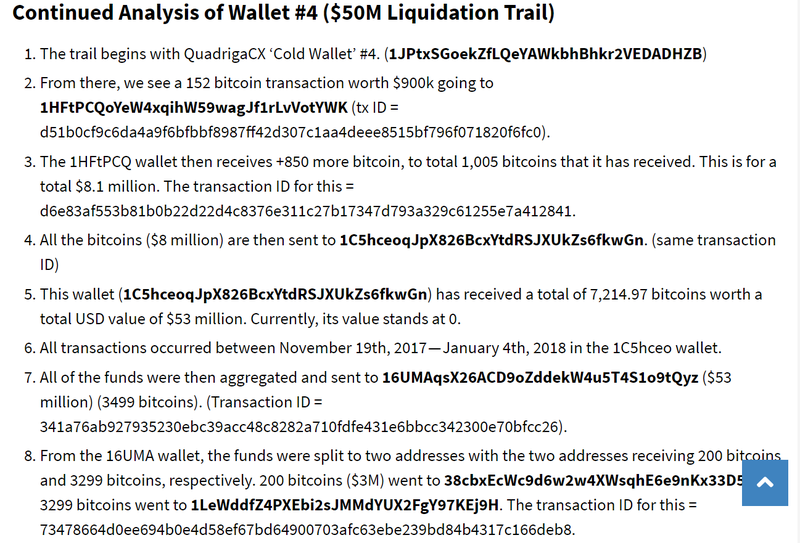 The statements above make it more than clear that the author was able to positively identify the 6th wallet (with the assistance of the Trinide blockchain firm). 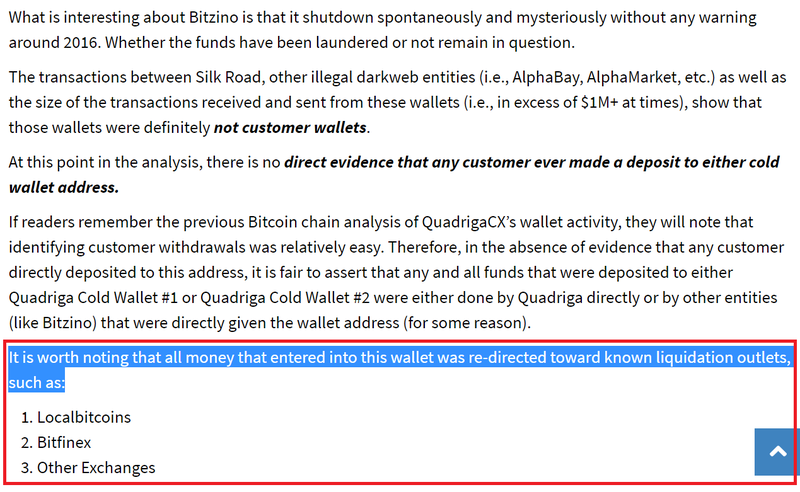 Of course, this corroborates what was posted in the first blockchain analysis by Zerononcense, which is that QuadrigaCX possessed no wallets with excess reserves in them. 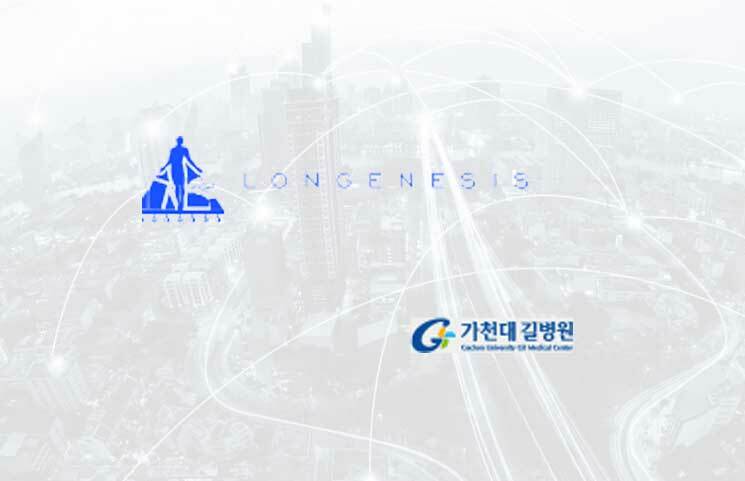 This strongly corroborates information included in the second blockchain analysis by Zerononcense. 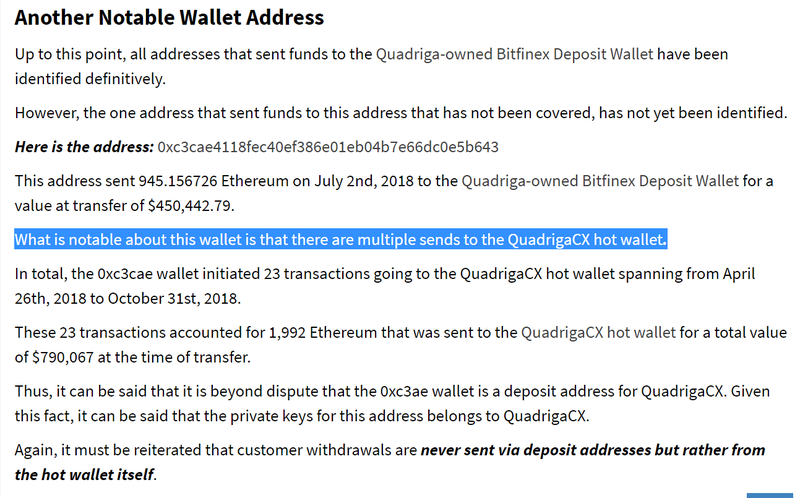 Although there are only 12 addresses listed above, it is worth noting that these addresses were transferring and receiving a significant amount of cryptocurrency to and from QuadrigaCX’s exchange in a seemingly inexplicable manner. 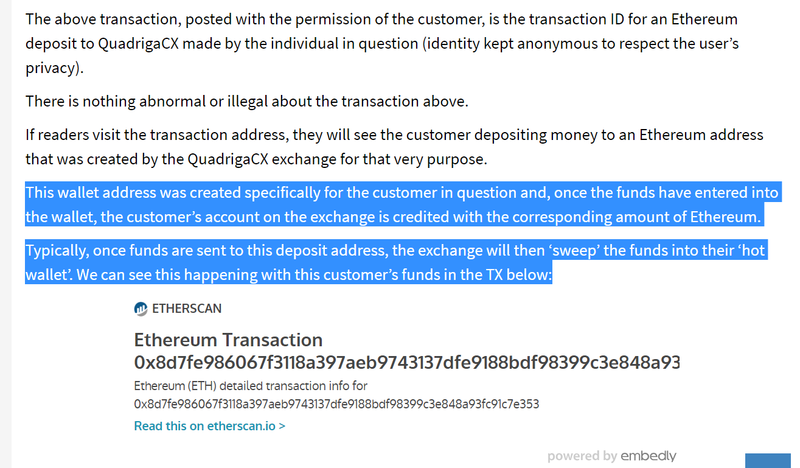 As stated above, Zerononcense was able to confirm that the cryptocurrency sent from this address had to be QuadrigaCX’s own doing. But the reasons why were largely unknown. 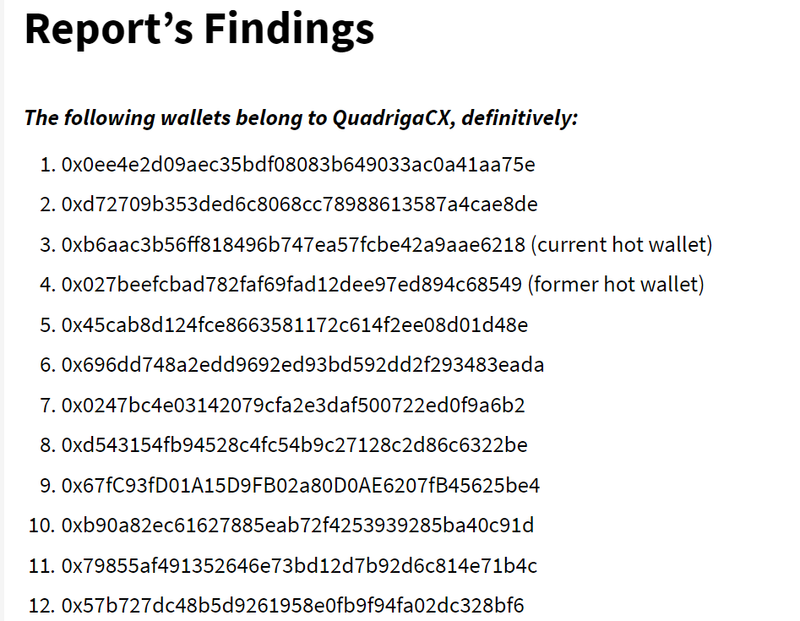 However, with the advent of the latest Court Monitor report, it is not unreasonable to assume that these wallets may have also been used for wash trading, which would explain the transactions going back and forth between these customer deposit addresses and the QuadrigaCX wallet. Again, this is not confirmed, but definitely worth noting. 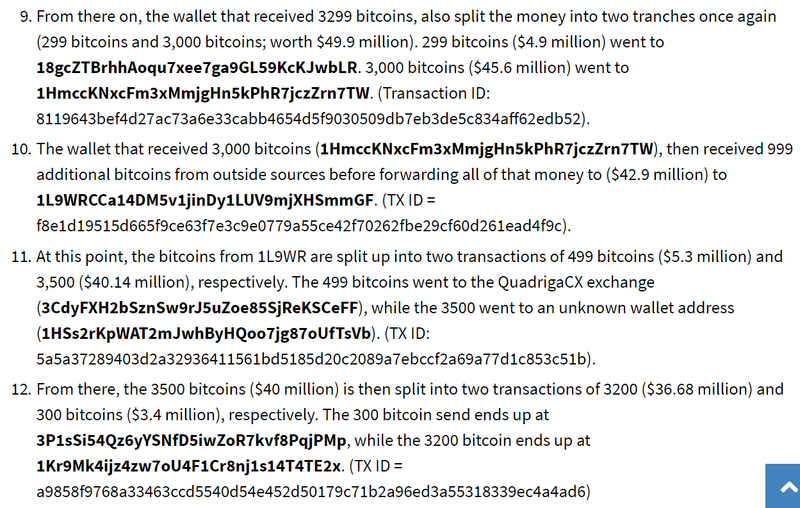 It is very possible that the exchange that responded (out of the three) was Kraken. 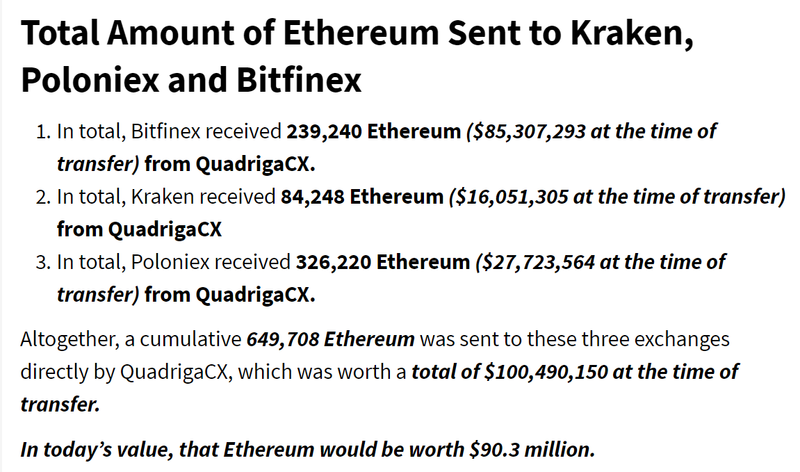 Many have openly stated, ‘If Kraken had these funds, they would not have launched a contest where the winner can receive $100k if they positively identify where QuadrigaCX’s crypto has gone’. This is a fair statement. 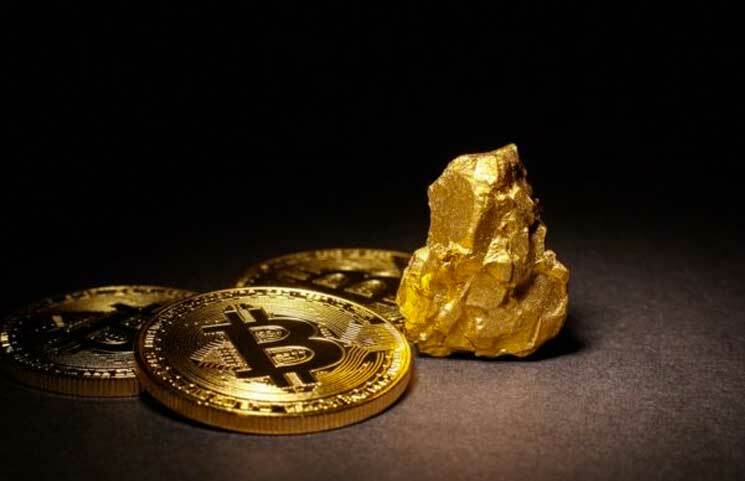 However, it does not invalidate what was discovered in the third blockchain analysis. 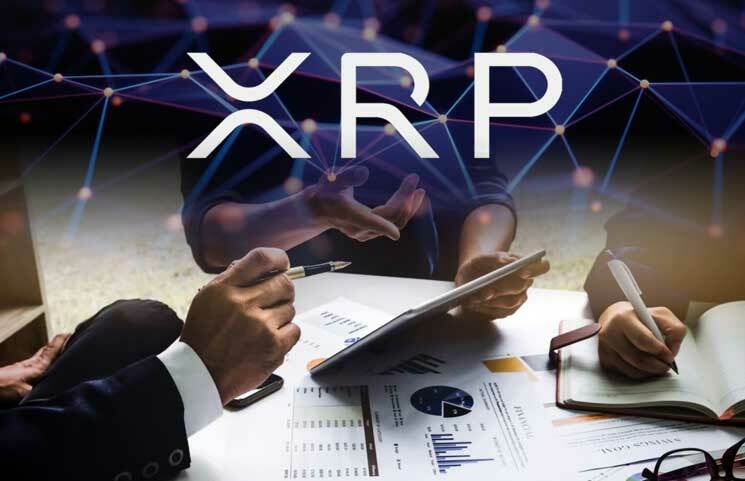 In fact, it bolsters it because it appears that Kraken did receive funds, realized that they were gone and then subsequently reported this information to the RMCP. They were also probably more than willing to communicate with the Monitor as well. So, to be clear, the absence of funds at Kraken currently, does not mean funds were never sent there. 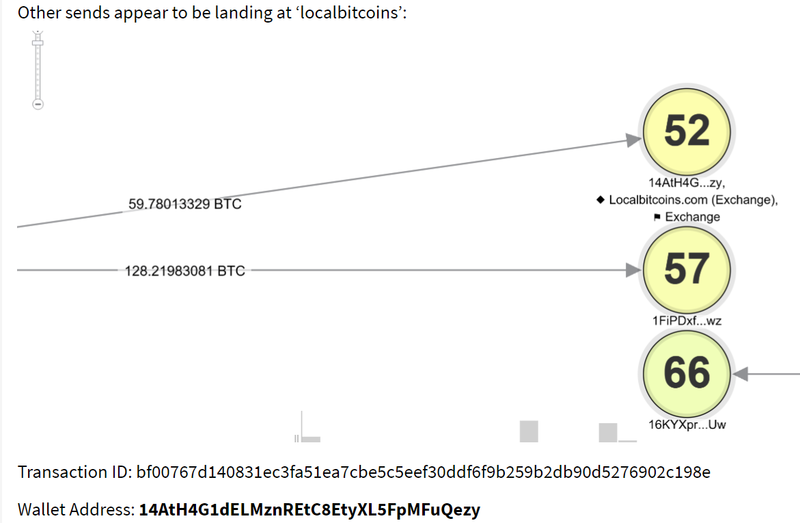 And more than likely, Kraken has contacted the authorities to notify them of where those funds have gone. To establish that the content and research being produced by the Zerononcense platform is legitimate and trustworthy. To provide an overview of confirmed facts (thus far). To note Zerononcense’s substantial contributions to the QuadrigaCX case up to this point.